Everything for the stylish female fan. Hover over the shop tab for a drop down list of some of our favorite things. Then get out your wallet…you’ll need it! 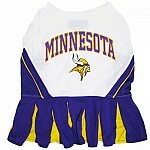 have you seen http://www.tailgatequeen.com – super cute dresses!